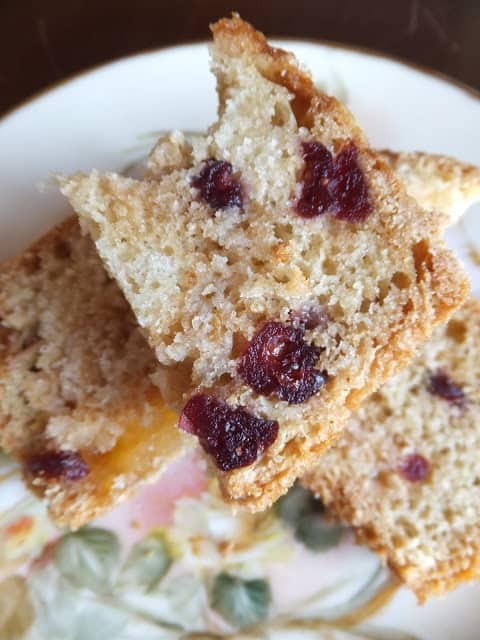 Cherry Orange Marmalade Bread is a super delicious quick bread. It’s tasty and moist with a swirl of orange marmalade running through the middle. Fast and easy, like all quick breads are known to be. For this recipe we used dried cherries but you can certainly substitute dried cranberries or no berries at all if you prefer. 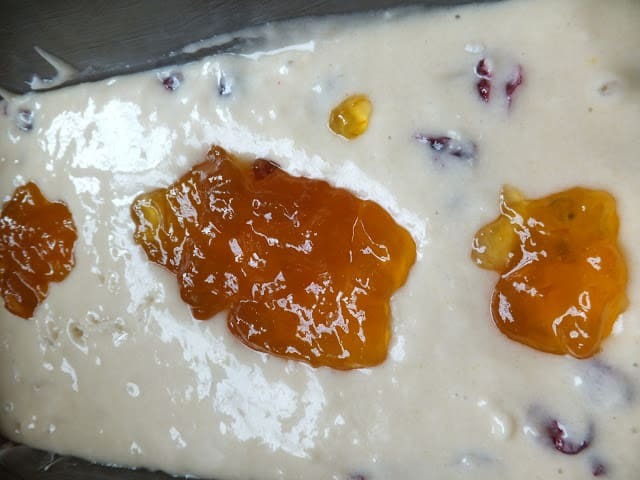 Serve Cherry, Orange Marmalade Bread with extra orange marmalade or orange curd. For this recipe you can make your own marmalade or follow our recipe for Orange Elderflower Marmalade. Another option is to purchase your favorite brand of orange marmalade. There are many wonderful brands on the market today. My favorite orange marmalade is from IKEA which also inspired me to make my own orange elderflower marmalade. Kraft also makes a super delicious Sweet Orange Marmalade that can be found at most super markets or grocery stores. 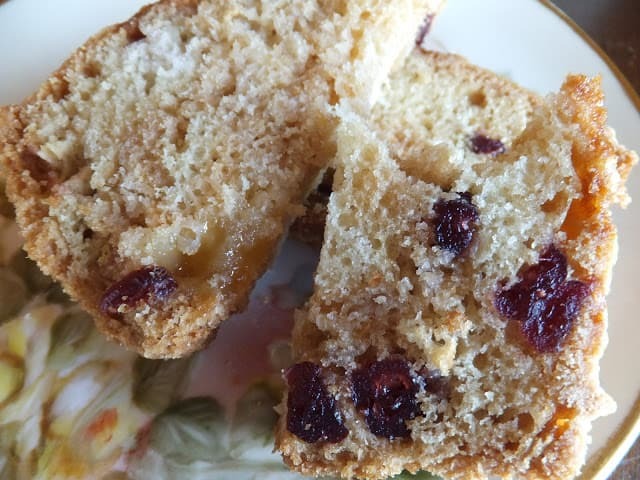 A fantastic quick bread with a layer of orange marmalade running through it! Preheat oven to 350º Grease and flour one 9 x 5 loaf pan. In a small bowl, beat with a fork egg, water, orange juice and oil. Stir into dry ingredients, just until moistened. Fold in dried cherries. Spoon into prepared pan. 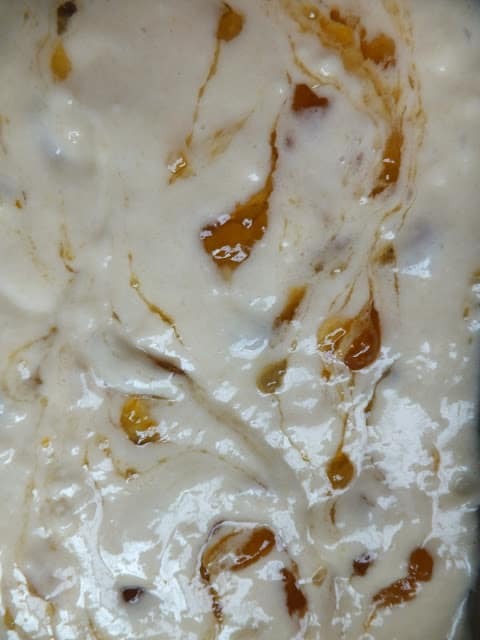 Spoon marmalade over batter. Cut through marmalade with a knife to swirl. Bake at 350 for 65 to 70 minutes or until toothpick inserted near center comes out clean. Cool 10 minute in pan. Remove bread from pan and cool on wire rack. Cherry Wink Cookies are a wonderful cookie that everyone will love. Made with dates, oats, corn-flake cereal, with a candied cherry center they’re a sure hit wherever you bring them. Cherry Winks are an old-fashioned cookie that have been around for as long as I can remember. Usually found on many Holiday cookie trays, Cherry Winks are super delicious and need to be made more often than once a year! So yummy! Thank you so much for sharing at last week's All My Bloggy Friends 🙂 I can't wait to see what you share this week! Hi Lynn! Thanks so much for stopping by my blog earlier and following! Am following you back 🙂 Have a great weekend! Lynn, I'm so happy I found your blog through Cindy's! Your recipes are delicious! Ohhh that looks so yummy!!! Thanks so much for stopping by my blog and following along, I am following you back! And I hope you make some crates, they would be perfect for herbs on a windowsill!